In case you missed it on Facebook, here's the letter Paige wrote to the Tooth Fairy after she lost her second tooth. Curtis bonked Paige with the back of his head and knocked out the third tooth (Paige was very appreciative). And the fourth one (non-eventfully) fell out on its own. This holiday season has been a great one for visits from distant homies. 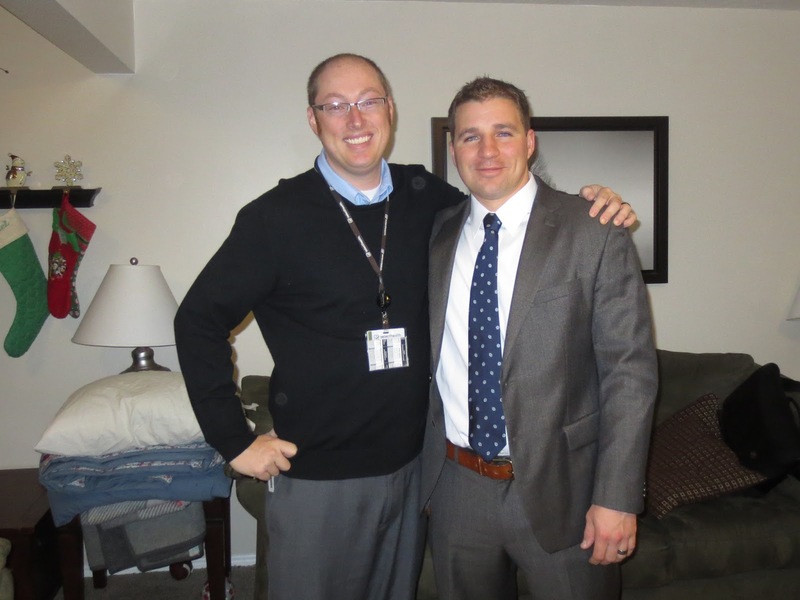 RB spent the night at our place en route to a residency subspecialty visit with the U of U. After going a bunch of years without seeing him, it's been nice to see him twice in 2012. I've got my fingers crossed that he'll end up in Salt Lake for the next phase of his doctor stuff. I was also happy to spend a lunch hour with my good friend Noah Riley, visiting from the NYC. It's nice enough that Noah has let me sleep on his couch not once but twice, but it means a lot that he makes time for a visit while he's in Utah, when I know he has to see a million other family members and friends. And last but not least, Traci and I got to hang out with Ty McHenry, who snuck back from Brazil to visit his parents for the holiday. Hopefully after he has his new baby, he'll still have enough room for Traci and I to visit.